What e-sports means for events, interactive storytelling, a handy venue search tool and much more in July’s edition of That’s Interesting. Using furniture to design better interactions at events. 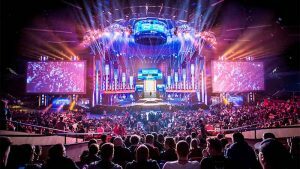 If you’re interested in the future of events you need to know about eSports. There’s also this on the same subject. A useful tool for finding some unusual venues. Are conferences chasing the dopamine kick at the expense of people actually learning anything?